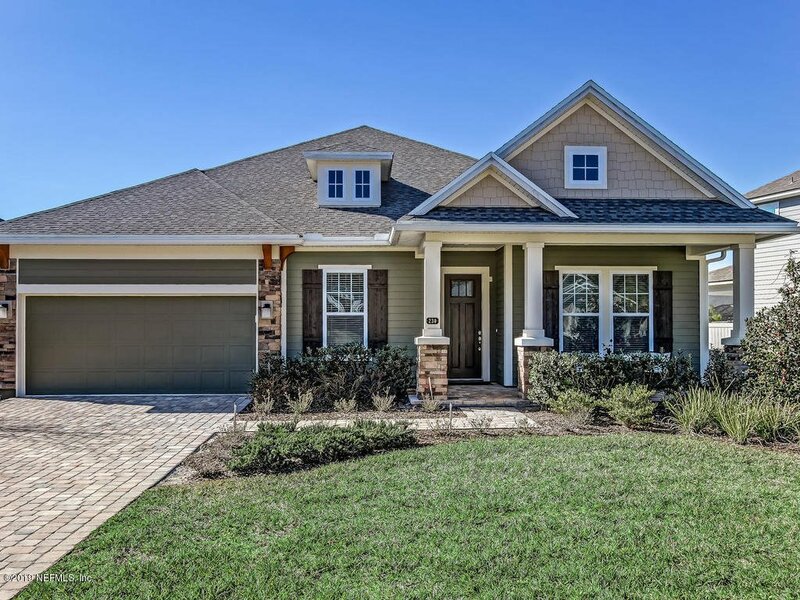 Move right in to this like new David Weekley home walking distance to the new K-8 Palm Valley Academy. This split floor plan has a bedroom and full bathroom in the front, large office, a flex space between two more bedrooms and full bathroom, and a huge bonus room with full bathroom upstairs. Gourmet kitchen features gas appliances, double wall oven, quartz counter tops, and stainless appliances. The master suite has a huge walk in shower plus a soaking tub and walk-in closet. The large lanai overlooks the fully fenced backyard. Home also features: tank-less hot water heater, oversize garage with epoxy flooring, and comes with a 1 year AHS home warranty. Listing courtesy of WATSON REALTY CORP. Selling Office: RE/MAX UNLIMITED.